baba, 07 May 2014Does the music flicker or lag while playing music How is the camera is its image in recordin... moreYes, I have just bought this phone today(24-05-2014) and has sound fluctuation issue and has web page scrolling lagging issue. 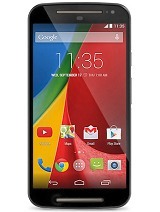 I brought this phone today and facing sound fluctuates issue.. I am going to replace this phone. I bought this mobile 1 month back. For first one week I was using only one SIM. All were running superb. The moment I installed 2 SIMs, started facing a critical issue on the phone and it continued to remain in unusable condition due to the following issues. Issue &#8203;1. Signal Doesn't Stabilize when both SIMs enabled. This goes as follows. - Upon phone restart, no signal on both SIMs and starts network search. &#8203;- First one SIM gets signal and latches on with full signal. Then 2nd SIM gets signal and latches on with full signal. &#8203;- Within 5-7 seconds, the signal level goes to ZERO in both the SIMs and it starts searching again. This happens all the times and the phone is simply not usable with TWO SIMS. All these happen even after the "Factory Reset". I had taken the Phone to service center and I was told that there's a major board issue and needs to be replaced. I'm working with the vendors to get the phone returned instead of reparing it. Believe me, it's going to be the long process. Issue 2. Frequent Restarts when both SIMs enabled. The phone restarts randomly irrespective of whether it's in the call or in idle state. Also, I'm unable to make out if it's the complete phone restart or only the applications restart due to the following reason. - &#8203;The "Up Time" shown in the Phone Status is &#8203;much longer than the up time of all the applications. For e.g. even if the Phone uptime shows as 15 hours, the apps uptime is matching the restarted time. 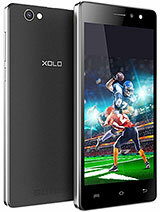 - Whenever such r&#8203;estart happens, everytime the XOLO bringup logo flashes and does all the startup procedures. Still waiting to get my phone returned. 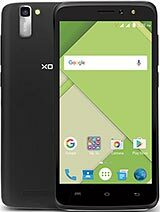 Anonymous, 23 May 2014Hello XOLO Q1010i, I just reading the review of this mobile, a I am interested in this phone.... moreHere is the detailed review for anyone wanted to buy this phone. 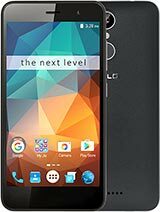 This is a best buy phone at this price range I compared it to Moto G and found that it is better then that read review why? I have Galaxy Note 2 also I compared it's camera quality and found that Sony Exmor R sensor is fantastic and it's camera quality is better then Note 2. Regarding Sound quality I read that some peoples are facing sound fluctuating problem but that is a manufacturing defect and you can get a replacement on complaint I personally not getting any such type of problems. It is running very cool on normal use and is getting heated on high end gaming like GTA San andreas which is normal. It comes with free leather flip cover which is awesome at this price rate. Go for it you will not regret your choice. 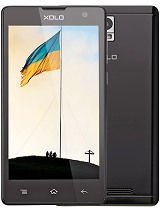 I just reading the review of this mobile, a I am interested in this phone. Can any one share his/her experience of this mobile. regarding the performance, call-voice quality & other function. Hey guys after reading all these comments I really can't decide should I buy it or not....becoz someone is saying its a loss of money and to the contrary other one is saying that u can't get a best phone at this price...so plz help....and what about the problems in this set?....isn't there any way to solve them? does this phone have voice recording facility? Hi KAMINI, there is no such heating problem that will lead us to worry. It's normal heat. When I bought the phone and install temple run, it lags, breaks between run but now all applications rocks.screen resolution is so pretty and this device can play even fhd video without any laging. 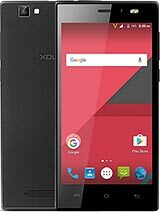 In my opinion it's a best phone.but I just read about the customer care support of xolo company and so much disappointed by reading a customer of xolo play. So honestly I want to say this phone is like a samsung galaxy grand but without multiple window.camera quality is excellent like any sony camera.bcoz of it's sony sensor. So basically I want to say that if your luck supports and you will never face any problem in this phone then tommorow you decided to buy a great featured phone. I forgot to tell you, it's battery backup is whole day. Kamini, 22 May 2014Hi Friends...Existing user please tell me can i buy this phone.. any heating,hanging ,battery... morea best mobile in own range.a superb mobile. 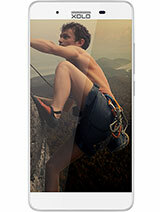 Hi Friends...Existing user please tell me can i buy this phone..